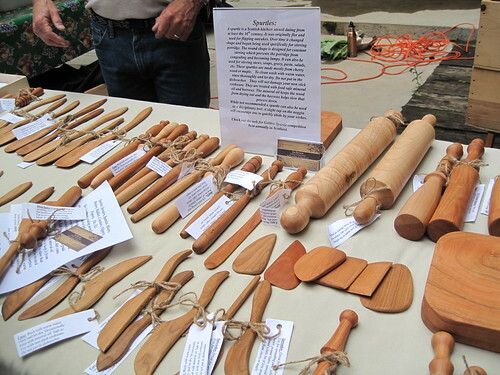 Jim Benson Wooden Cooking Utensils at Mill City Farmers Market - Mill City Farmers Market 2018 - Minneapolis Riverfront Neighborhoods. 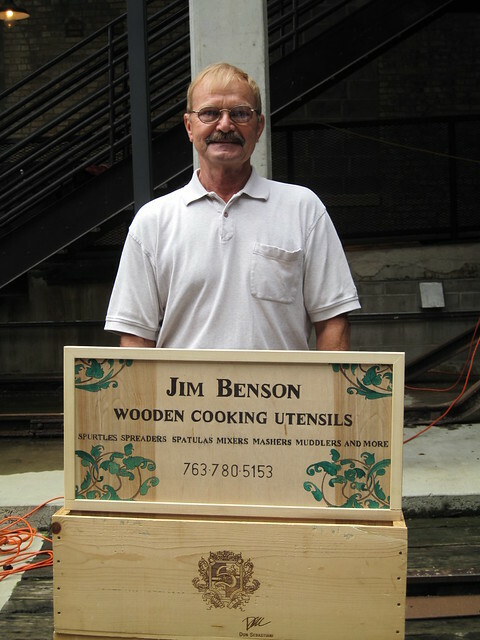 Jim Benson creates a variety of wooden cooking utensils, including spurtles, spatulas, spreaders, mixers, mashers, muddlers, forks, and spoons. Most are made from cherry and maple, and are treated with mineral oil and beeswax. Jim aims to make items that are as pleasant to look at as they are to use, and each piece is unique. If you miss Jim at the Market, you can reach him at sunbug2@comcast.net or 763-780-5153. I hadn't heard of some of these items before. For example, a spurtle is a Scottish kitchen utensil dating back hundreds of years. It evolved over time from being flat for flipping oatcakes, to a more rounded stirring tool. 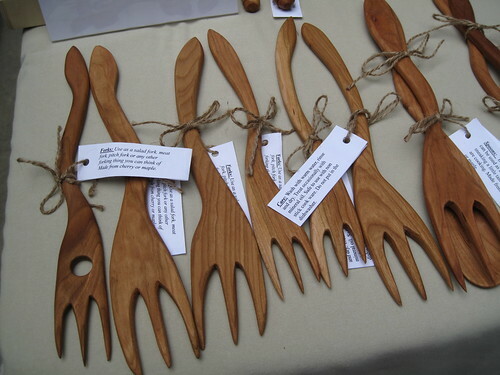 Many of the utensils have a curved handle, affording a comfortable grip and more natural movement.